We have a varied programme of training and informative events throughout of the year. We aim to offer practical hands on training usually on farm but we also have classroom based topical talks. All of this is done in a style that is intended to be relaxed, friendly and enjoyable. It should never be a chore. We aim for indoor activities during the more inclement months and outdoor activities in what are supposed to be the better weather months - although we have been known to get this wrong! 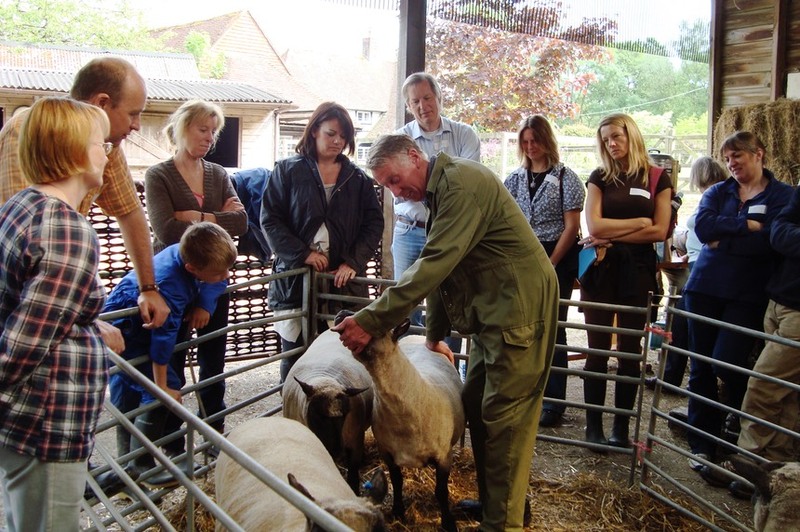 We cover a wide range of topics including lambing, demos of routine handling such as foot trimming, worming and flystrike prevention, talks on topics as diverse as grassland management, equipment, fencing, medicine handling, feeding, winter care, bio-security, hedgelaying, legal requirements and transport regulations. Whatever the subject, Small Shepherds Club gatherings are always friendly, informative and enjoyable. Each year we have a number of key training events aimed at new shepherds covering the basics of good sheep keeping. All this is backed up with additional support from our Sheep Advisers.